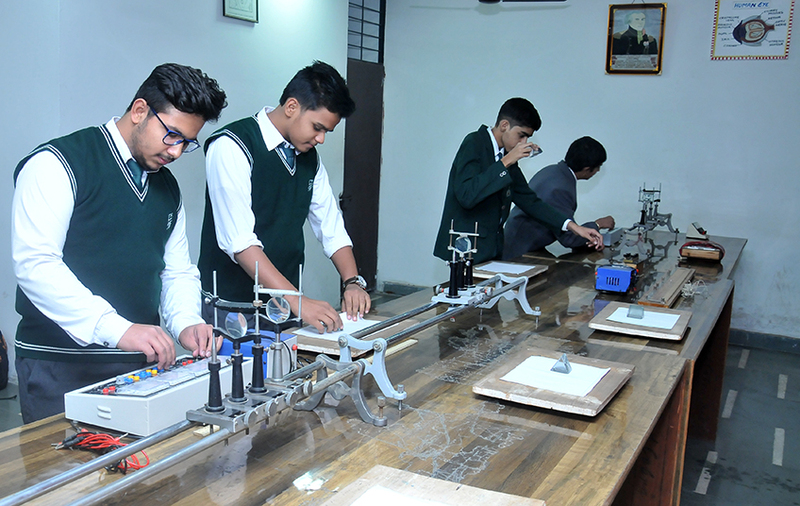 The Physics lab is fully equipped with apparatus to carry out experiments and investigatory projects related to various topics. 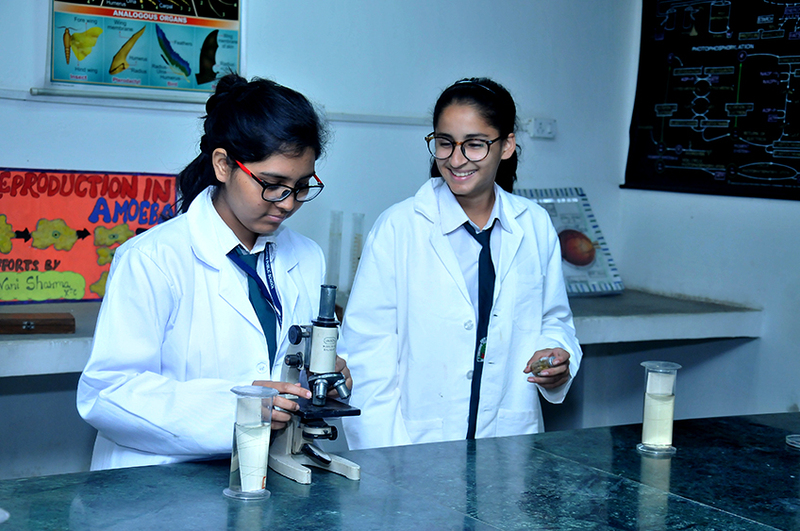 The activities carried out in the lab intend to make learning of physics more interesting, motivating, effective and meaningful as it involves active learning through various experiments. 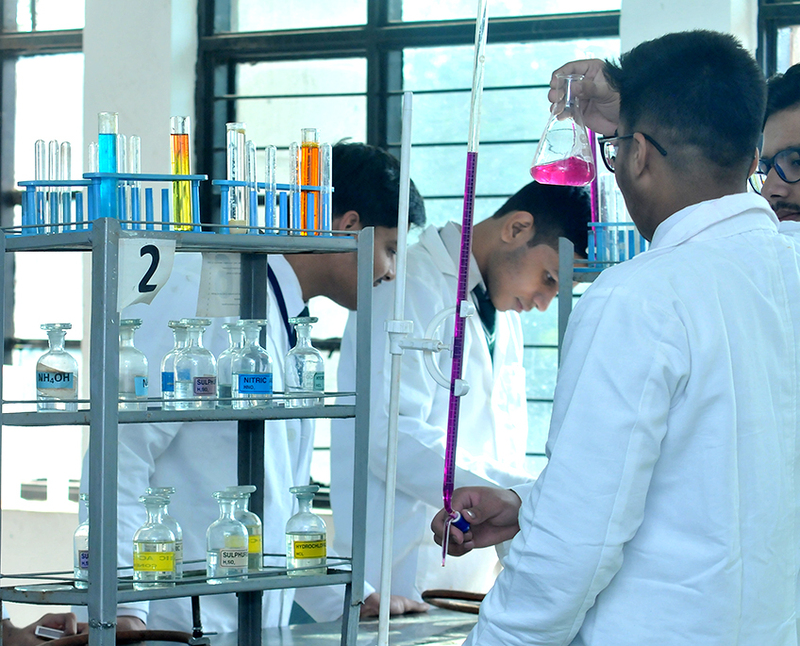 The complex subject of chemistry is enlivened by interesting experiments which help the learners to grasp the topics in a practical and convenient way. 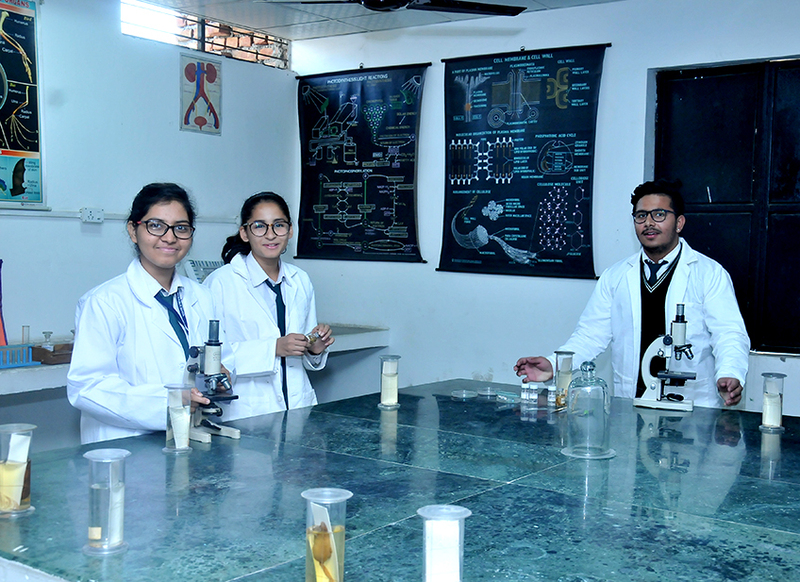 School has well organized and well equipped Biology Lab with various models, charts and prepared slides depicting how complex forms of life were evolved from simpler ones. 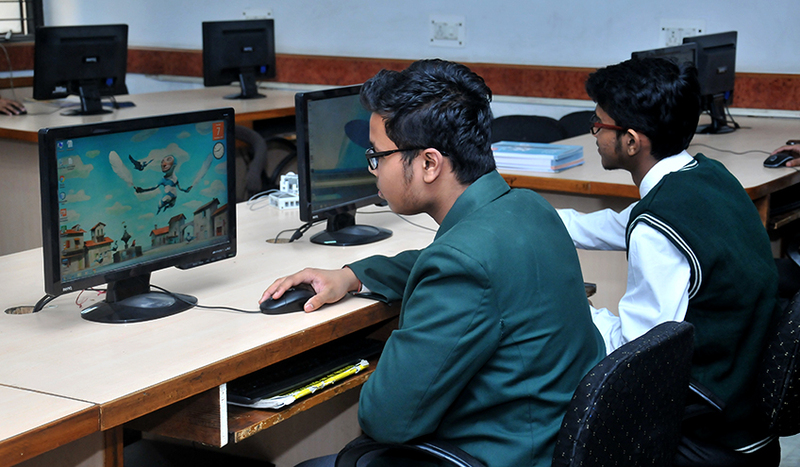 School has two computer labs well equipped with latest hardware & software configurations. 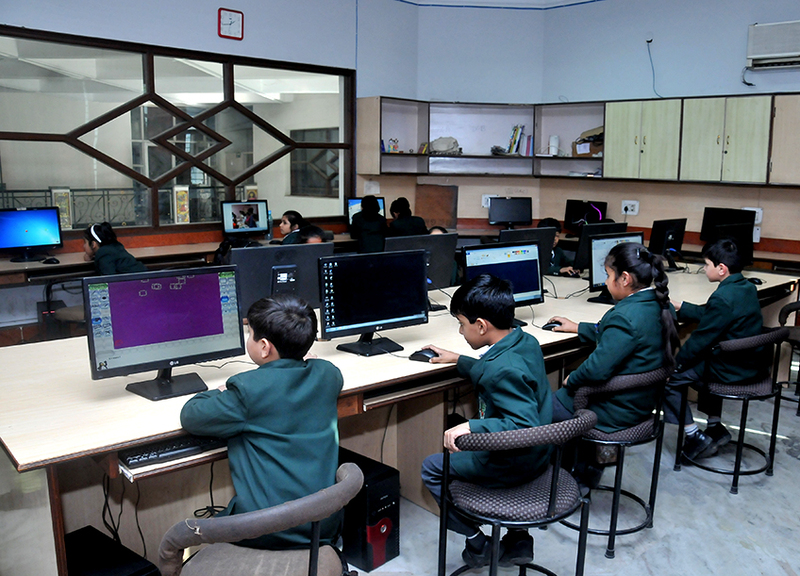 All the computers are connected to a dedicated server through LAN & broadband connection. 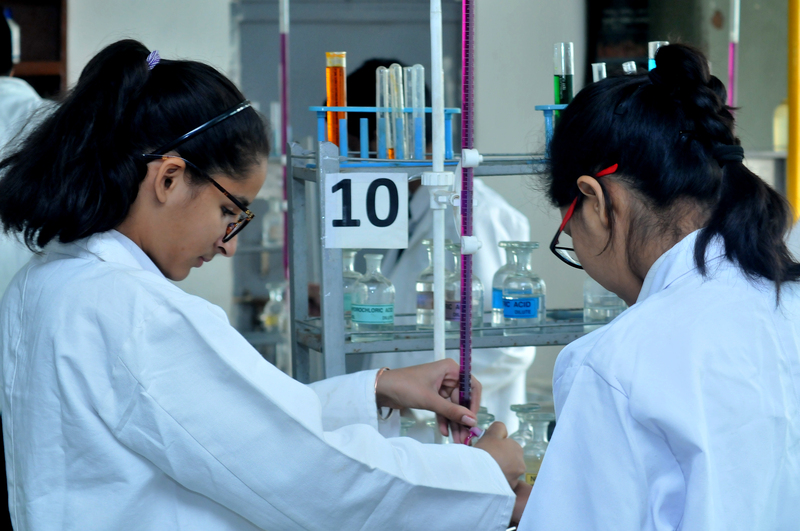 Teachers and students are encouraged to use network resources to enhance their effectiveness, productivity and knowledge. Broad band internet facility, Wi-Fi and wired intra-net. 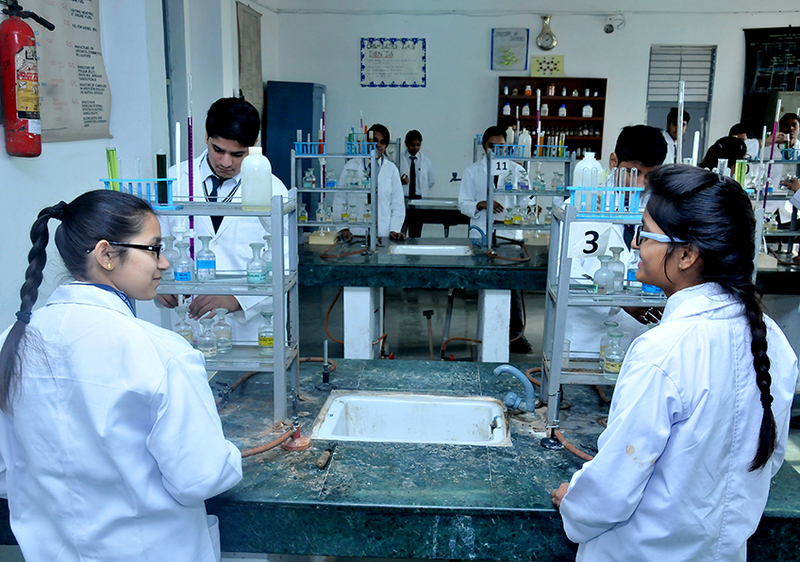 Web site, Mass SMS and class e-groups create a back bone for effective communication. Assembly VII-C "Take Risks In Your Life"
If You Win, You Can Lead! If You Lose, You Can Guide!